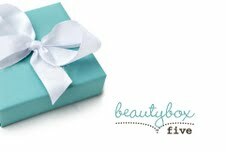 This site is an up and coming beauty lovers dream. You will find our personal reviews & descriptions on all different kinds of beauty items for the average beauty product lover. Everything from lip balms, eye shadows, face products, lotions, body washes, mascara to brushes and tons more! We try our hardest to make detailed, clearly written and photographed reviews, recommendations, tips, tricks and contests! Please add us on Facebook to keep up with new topics!